ESPN’s College GameDay’s next stop will be the Gonzaga-Saint Mary’s showdown Saturday, Feb. 11, at McKeon Pavilion in Moraga. The announcement came during GameDay’s show Saturday morning from Gainesville, Florida. ESPN’s marquee matchup later Saturday was Kentucky-Florida. Host Rece Davis said Saint Mary’s McKeon Pavilion, which seats 3,500, will be the 53rd different site in GameDay’s 13 seasons. GameDay begins with an hour-long show at 8 a.m. and there will be a primetime edition leading up to the 5:15 tipoff in Moraga. Gonzaga is no stranger to GameDay, hosting the ESPN crew in 2006 and 2009. The fifth-ranked Zags defeated Stanford 80-76 in the McCarthey Athletic Center behind Adam Morrison’s 34 points in 2006. In 2009, the 18th-ranked Zags lost to No. 14 Memphis 68-50 in the Spokane Arena. Micah Downs led GU with 13 points. Tyreke Evans scored 22 points for the Tigers. GameDay’s morning show was broadcast from the McCarthey Athletic Center. Gonzaga has been the visiting team twice on GameDay. In January, 2013, No. 8 Gonzaga lost to No. 13 Butler 64-63 on a steal and last-second basket by Butler’s Roosevelt Jones at Hinkle Fieldhouse. Just over a year later, the 23rd-ranked Zags lost at No. 24 Memphis, 60-54. College basketball analysts Jay Bilas, Jay Williams and Seth Greenberg join Davis on GameDay. Bilas will join Dan Shulman and reporter Maria Taylor on the call of the game. 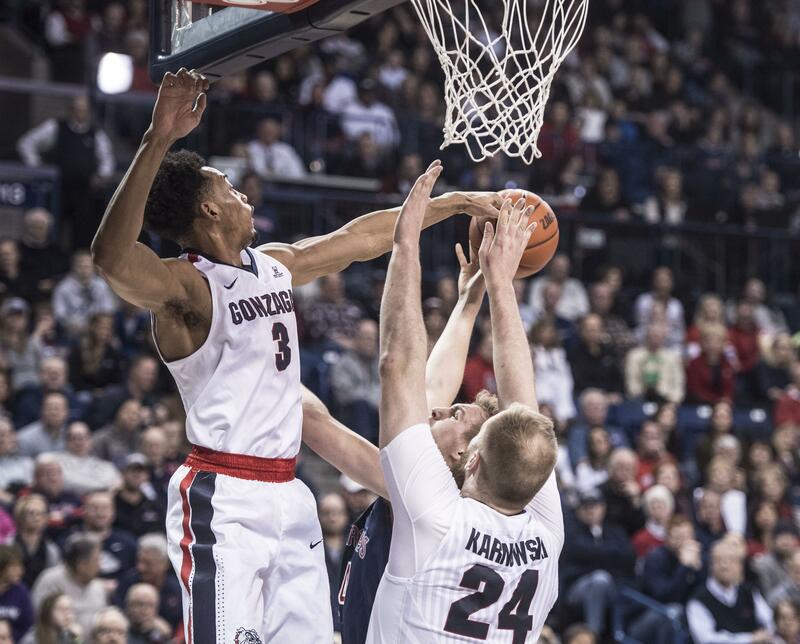 Gonzaga handled Saint Mary’s 79-56 last month in Spokane to take over first place in the WCC. The Zags (23-0, 11-0) have since moved to No. 1 in both major polls and the Gaels (20-2, 10-1) have won five in a row. The teams shared the WCC title last season. Published: Feb. 4, 2017, 9 a.m. Updated: Feb. 4, 2017, 12:44 p.m.